This month, the Internal Revenue Service (IRS) will put its recently established debt collection program into practice. Under the new program, the IRS has begun to use private sector collection agencies to collect taxpayer debt. However, only certain agencies are permitted to collect debts on behalf of the IRS and must comply with a series of regulations. The new debt collection program could have a significant impact on how tax debts are collected, so if you recently received a notice from the IRS that your debt has been assigned to a private sector collection agency, it is important to contact an experienced Florida tax attorney who can help protect your interests. Pioneer, which is located in Horseheads, New York. Furthermore, a taxpayer’s account can only be assigned to a single agency and never to all four. 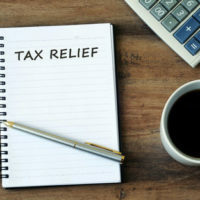 Before transferring a taxpayer’s account to a private collection agency, the IRS will send a letter notifying both the taxpayer and the person’s tax representative of the change. At this time, the IRS will also provide the name and contact information for the particular company that has been assigned to the taxpayer’s account. After the IRS has sent an official notice, the private firm must send its own letter confirming the transfer. Both letters will also contain details about how much the taxpayer owes. Once communication has been established, the collection agency can begin to discuss payment options, including setting up a payment plan. However, all actual payments must be made to the IRS and never to the private firm. Furthermore, private firms are not allowed to take enforcement actions, such as filing a lien or issuing a levy against taxpayers. Ask for credit card information over the phone. Anyone who recognizes this type of conduct should contact the IRS and report their concerns immediately. If you have questions about how the new IRS program will affect your tax debt, please contact Ronald Cutler, P.A. by calling 386-490-9949 to set up a one-on-one consultation with a skilled and knowledgeable Florida tax attorney.